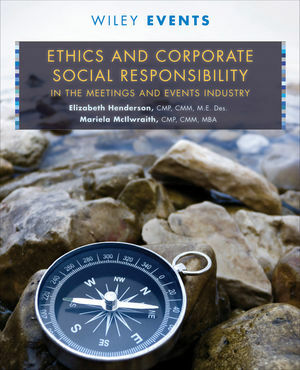 This book celebrates what has been already achieved in moving the meetings and events industry towards a more sustainable future, and pushes the boundaries of imagination to visualize what might be possible in the years to come. This text simultaneously pushes the thresholds of current knowledge and actions toward a vision of a sustainable future for the meetings and events industry. Written not only as a tool, but as a capacity-builder for future sustainable leaders within the industry, this book includes a wealth of information on new sustainability tools: new standards, new technologies, and even new books. Elizabeth Henderson, C.M.M., C.M.P., M.E.Des., is a Past President of the MPI Greater Calgary Chapter, and chaired the Green Meeting Industry Council Sustainable Meetings Conference in 2011 and 2012. In 2011, she was named one of the Most Innovative Event Pros in North America by BizBash Magazine. Elizabeth holds an M.E. Des. in Environmental Science and is currently an M.B.A. candidate from the University of Calgary. Mariela McIlwraith, C.M.M., C.M.P., M.B.A., is a Past Chair of the Content Advisory Council for Meeting Professionals International (MPI); a Past President of the MPI British Columbia Chapter; a board member of the Green Meeting Industry Council (GMIC); and founding President of the GMIC Canada Chapter in Formation. Mariela completed her M.B.A. at the Sauder School of Business at the University of British Columbia. Backcasting methodologies and scenario planning to envision the steps to develop a sustainable future. An overview of environmental impacts and strategies to measure, reduce, eliminate, or mitigate these. Strategies for sustainable and ethical promotion, marketing, and communication. Measurements, evaluation techniques, and reporting methodologies to improve and track performance.